Para-table tennis Gold medalist, Mere Rodan will not be at ease until she qualifies for the Rio Olympics. 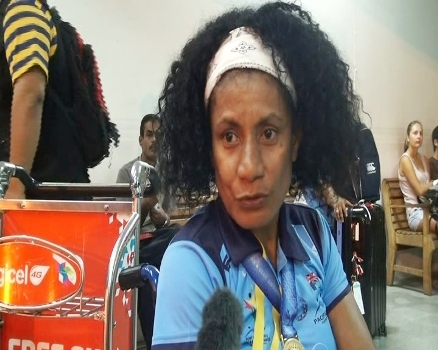 The 47-year-old national rep won gold at the Pacific Games and was part of the first batch that returned home on Tuesday. Rodan says the competition has provided a great platform to develop her skills and also enable her to work further hard in the upcoming tournaments. She adds the win was a special one for the team as they came under-equipped and played with wheel chairs not meant for the sport. Rodan will be competing in three other tournaments in order to qualify for Olympics, next year.